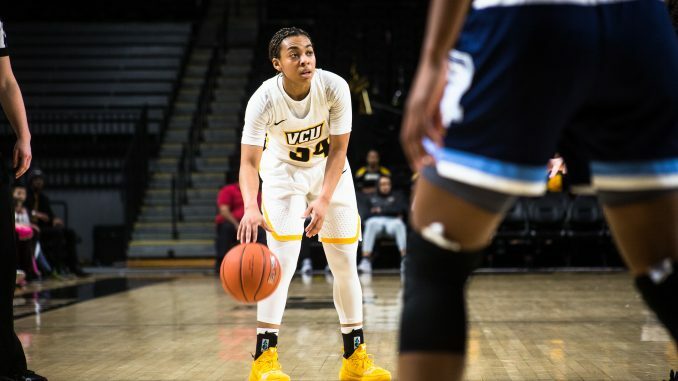 The Rams knocked off Charlotte 65-52 for the first win over the 49ers in 11 years Thursday night in the first round of the WNIT tournament at the Siegel Center. The last time the Rams came out on top against the 49ers was in the first round of the 2008 WNIT on the road. The Rams used an early 6-0 run sparked by sophomore guard Tera Reed to quickly jump in front of the 49ers. 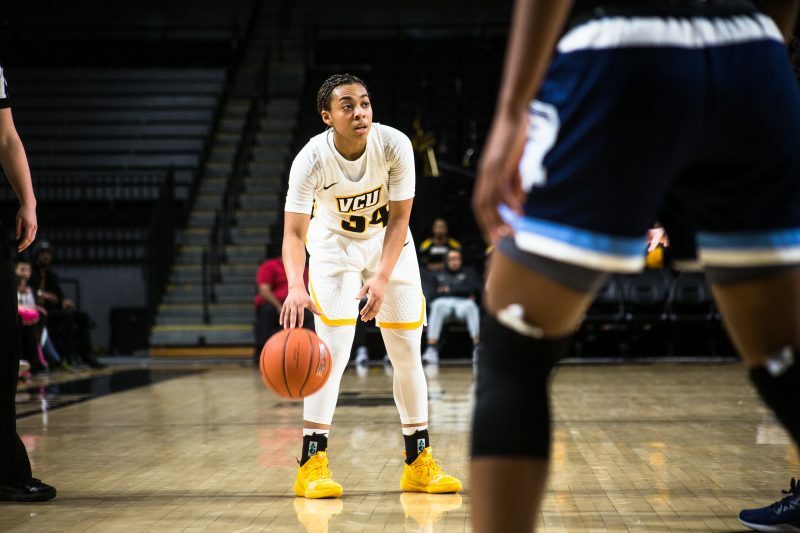 VCU’s lead swelled in the second quarter as Reed and freshman guard Kseniya Malashka hit 3-pointers on back-to-back possessions for the Rams. Reed led the Rams with 18 points, six rebounds and five assists. The Rams’ “chaos” defense, a term dubbed by O’Boyle earlier this season, made itself known early as Malashka deflected a 49er pass, not allowing Charlotte to get past half court and causing a 10-second violation. The Black and Gold held Charlotte to shooting 31.3 percent from the field in the first half, including 33 percent from three. The Rams shot 50 percent from beyond the arc in the first half and 46.4 percent from the field. Sophomore guard Taya Robinson — who logged 9 points and three assists — nailed a 3-pointer to open the second half for the Rams and extend the lead to 12, but then the Black and Gold went cold. The Rams were held scoreless for more than 2 1/2 minutes, allowing the 49ers to go on a 7-0 run and cut the VCU lead to five. But then, sophomore center Danielle Hammond stole the show and scored the next 9 points for the Rams, building the lead back to 10. Hammond finished with 14 points and two rebounds for the Black and Gold. Junior guard Nyra Williams hit a big 3-pointer at the end of the game, shutting the door on the 49ers. She finished with 7 points for the Black and Gold. The Rams held Charlotte to shooting 33 percent from the field, including 21.4 percent beyond the arc overall. The Rams will face Virginia Tech this weekend in the second round of the WNIT.